means to react on its own to the problem at hand, it would have been appro-priate for the Board of Governors to notify the government thereof in a formal manner. Therefore, the bank’s assessment of the severity of the situation and the logical course of action and proposals, based on that assessment, did not go hand in hand. had the responsibility to inform the Minister of Business Affairs of the aforementioned meetings so that he could attend to his duties. We leave you to draw your own conclusions ! LANDSBANKI Liquidity ratio low in late 2007. The WUB clearly is of the opinion that already by the end of 2007 PwC knew the bank’s position was a lot more precarious than the accounts showed. According to a presentation to a Landsbanki creditors’ meeting in December 2010 the bank’s capital had fallen below the legal limit before its collapse in October 2008 – probably already before the end of 2007. The bank’s definition of “related parties” wasn’t correct, ia leading to over-risky loans to the bank’s largest shareholders, Bjorgolfur Gudmundsson and his son Bjorgolfur Thor. The presentation implied that the managers had given the auditors WRONG information. 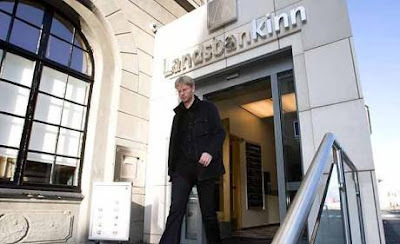 Landbanki’s two CEOs have already been sued for damages caused to the bank. According to Ruv, the WUB has now gone a step further, suing the auditors. The role of the banks’ auditors is scrutinised in the SIC report with many examples of highly questionable actions. It also raises questions, raised with international banks, on the relationship between banks and auditors. 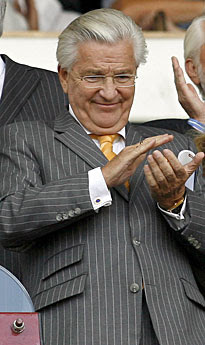 By the end of 2007 Landsbanki had issued loans to father & son related companies and companies related to Jon Asgeir Johannesson, almost ISK200bn, now €120m. The WUB claims the auditors knew these loans either had no or insufficient collaterals. In spite of this and knowing that the bank was insufficiently capitalised the auditors went along with the managers in signing misleading and wrong annual and quarterly accounts. If the accounts had been truthful the bank would have failed in 2007. Consequently, there would have been less losses resulting from Icesave UK, the Icesave in Netherlands would never have been opened and the over-all losses would have been less. Icesave was the internet banking operation of Landsbanki. By offering high interest rates, this racket attracted lots of deposits in England and Netherlands. Money “disappeared”, causing the collapse of the operation. England and Netherlands want the working people of Iceland to pay for the losses. But are careful not to mention the billionaires who ran this racket. This is the story of economic parasitism on a massive scale. Mr. Guðmundsson married Thora Hallgrimsson. She was well connected: “Her father was head of Shell Iceland; one uncle was an ambassador to the United States in the 1940s, while another the prime minister on five occasions up to 1963. Her former husband, George Lincoln Rockwell, with whom she had four children, founded the American Nazi Party in 1959″. 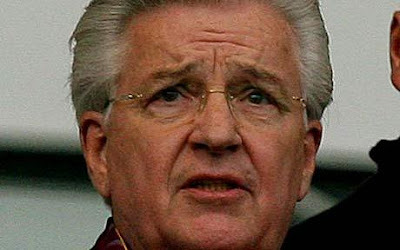 (Jamie Jackson, He’s the real thing, The Observer, 2 Sep 2007) Readers will want to learn about Shell’s founder, who was involved in shipping, here. And how could a shipping company “collapse”? “He was also charged with embezzling bills of exchange from the company’s portfolio for his personal benefit.” “Björgólfur and the other defendants were found guilty of these charges by the Icelandic supreme court judges – but only partly so. In preparation of the misleading first eight-month figures and full-year accounts of 1984, the defendants were found to have violated articles of the Companies Act, but not the more serious General Penal Code. During May 2012 the victims of this scam published a press release under the title of “Is Luxembourg Morally Bankrupt ?” which received large coverage in Luxembourg and France. Amongst those articles PaperJam quickly published a response from Mme Hamilius to our press release. where she tried desperately to put her case. It carried little weight for the victims of this travesty. One cannot but wonder what could have prompted this type of response. After all there had not been much time to make enquiries before making this amazing statement. One can only surmise that there is a lot to be covered up in this particular scandal. And then the following blog site has some useful insight into what we were all dealing with when we got conned into this terrible scam.